Pit Band is an extracurricular activity that gives select music students the opportunity to play along with actors and actresses on stage for the Spring Musical. This invitation-only ensemble will be supplemented with adult musicians. 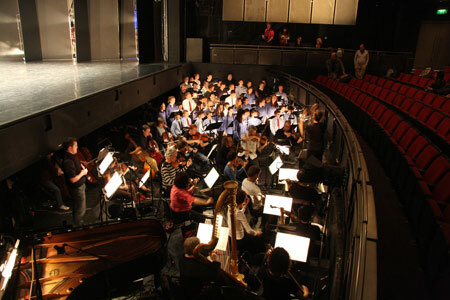 The Pit Band is a major time commitment and performers must adhere to the musical director's schedule while keeping up with their academic work and obligations outside of school.